The Trading Desk details the journal of trades made within the Penn Wealth strategies, along with a brief rationale behind the decisions. There are five unique Penn Wealth strategies. From time to time we may also highlight upgrades/downgrades/trades from other firms if we believe they can be of value to clients or members. This is for personal use only, and is not a solicitation to buy or sell any investment. Always consult your investment professional before making a decision. For clients of Penn Wealth Management, LLC, a separately-managed and regulated investment advisory service, these trades are automatically executed on a discretionary basis within your accounts. Contact your portfolio manager for questions, or select the link below. Members/Clients can see the 100 or so investments we currently hold in the five Penn Strategies by selecting here. 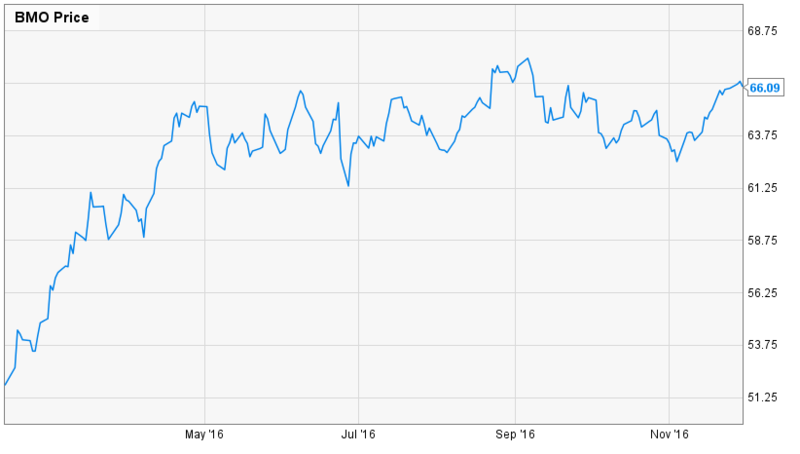 With oil in the low $40s per barrel range, we took our profits off the table on DUG, the inverse oil ETF. As mentioned before, we see oil trading in a relatively tight channel and we will continue to use OIL and DUG to play anticipated moves. We added Dollar General (DG) to the Penn Global Leaders Club following what we believe to be an unwarranted spike down in price. Outlook for the company is strong, as are earnings. DG plans on opening another 1,290 stores this fiscal year. 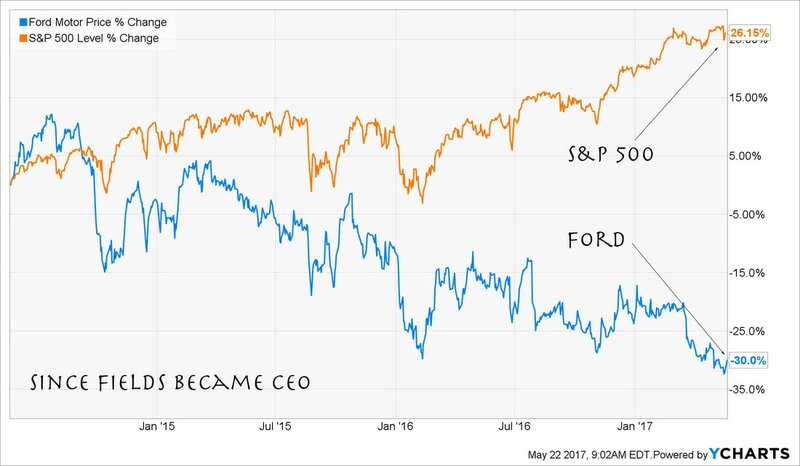 The auto parts sub-industry has been crushed over the past year, but it really came to a head over the past few months. 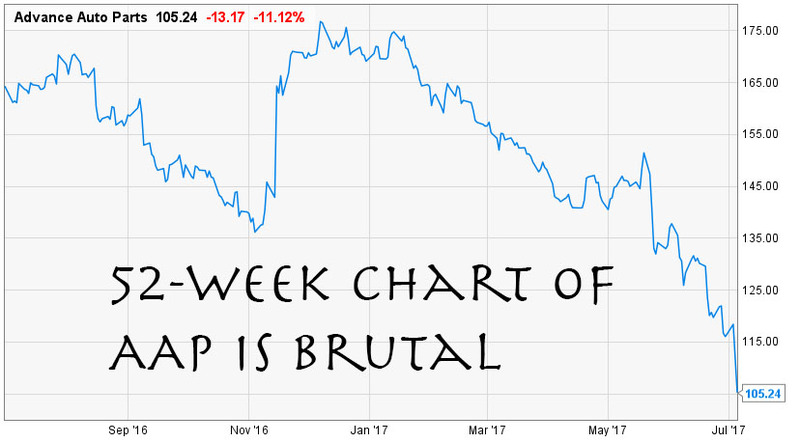 We do not accept the rationale for the sell-off and took advantage of today's big drop by buying this $7.7 billion mid-cap gem. 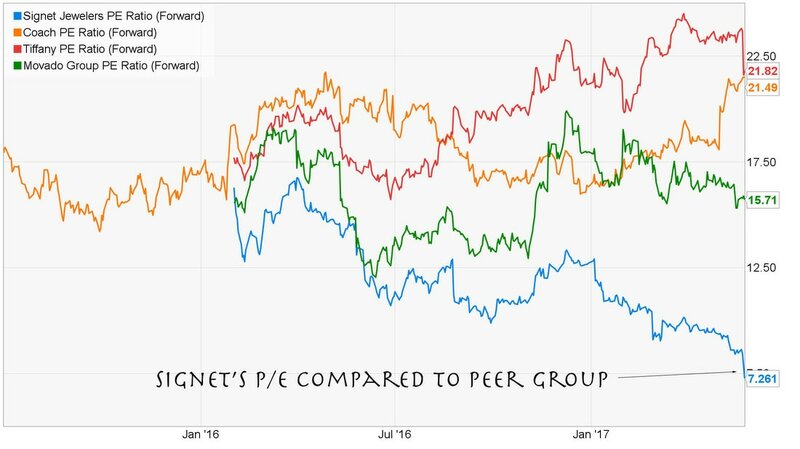 Jewelry conglomerate Signet (Jared, Kay, Zales) fell below its 52-week low. This has been an effective trading stock for us in the past, and with its 8 P/E ratio, it looked too good to pass up. On Monday, we replaced General Motors in the Penn Global Leaders Club with Ford. The primary driver behind the decision was Ford’s canning of Mark Fields, replacing him with self-driving car guru Jim Hackett. We believe Hackett is the right man to truly modernize Ford. We had high hopes for Whole Foods, but the competition was just too keen, and management had some missteps. Despite a change in strategy beginning in Q3 of 2016, we decided to take the pop in price due to takeover talks and close the position. 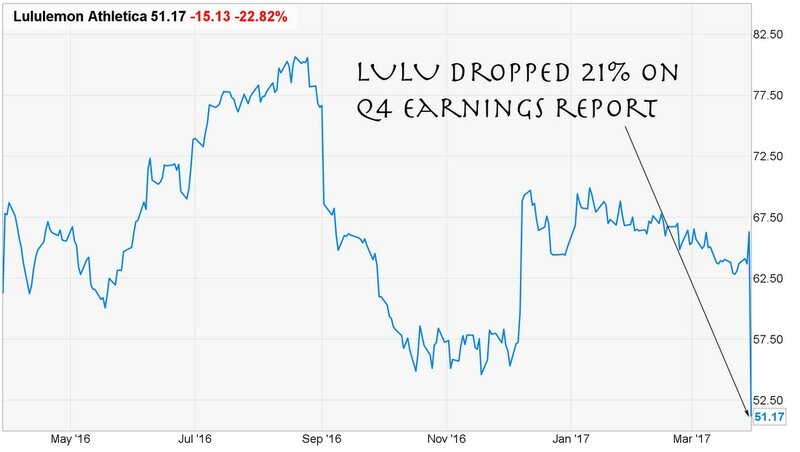 We purchased athleisure retailer LululemonLULU within the Intrepid Trading Platform not so much because of the company’s rosy 2017 outlook, but because the numbers looked right for a quick pop. This has happened before, to include the investor overreaction. A week ago we added this holding to the Intrepid, looking for a quick rebound from the 13% drop it took on a negative news story. 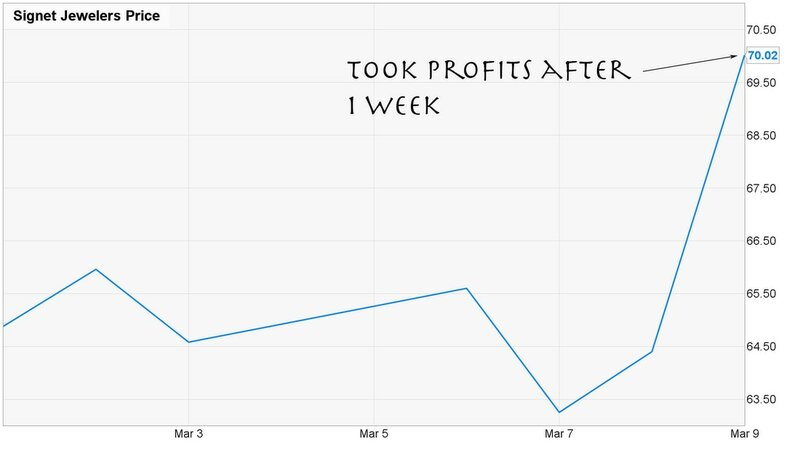 After an 11% gain, we took our profits off the table. 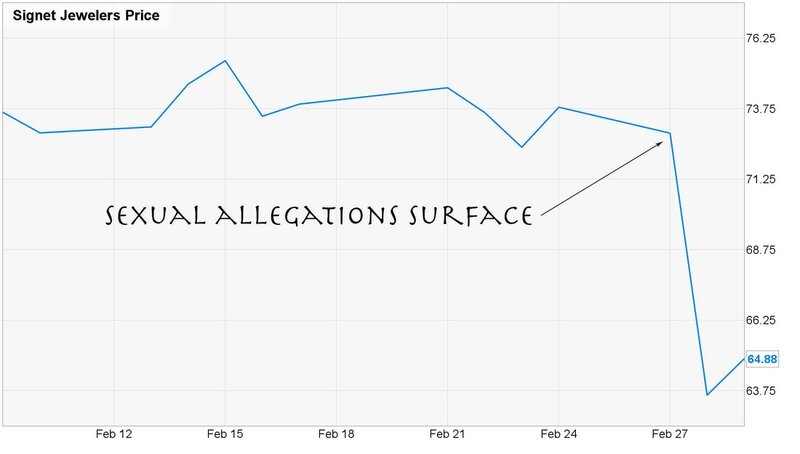 Signet Jewelers (SIG), which operates such iconic brands as Jared, Kay, and Zale, fell 13% following the revelation of sexual harassment allegations. The charges are old, flimsy, and caused (we believe) the market to overreact. 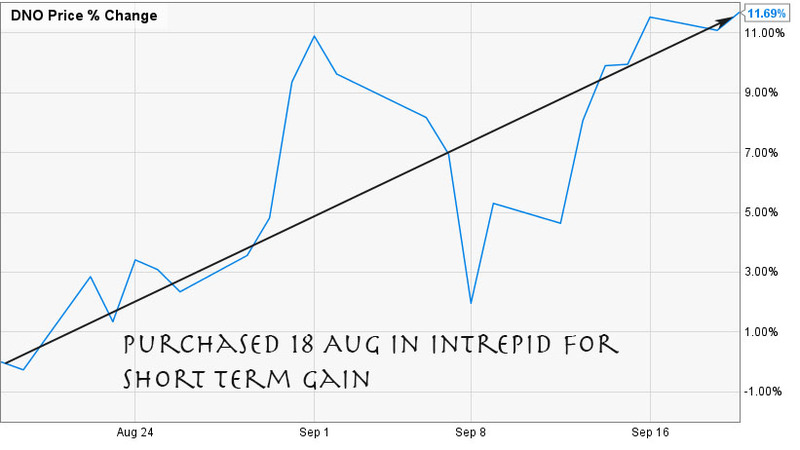 We are buying in the Intrepid and looking for a double-digit gain. 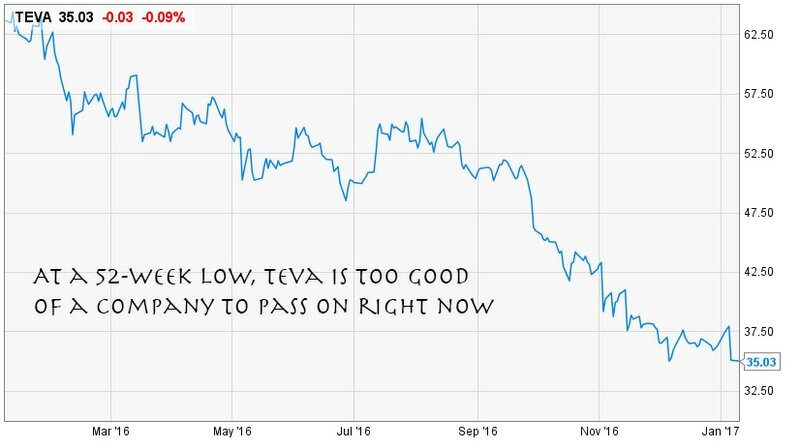 Teva (TEVA) has been hammered in the financial press and among the analysts due, in large part, to its loss of patent on one version of its Copaxone MS drug. We believe this response is unwarranted, and see a deep bench of new products thanks to its Actavis pickup from Allergan (AGN). 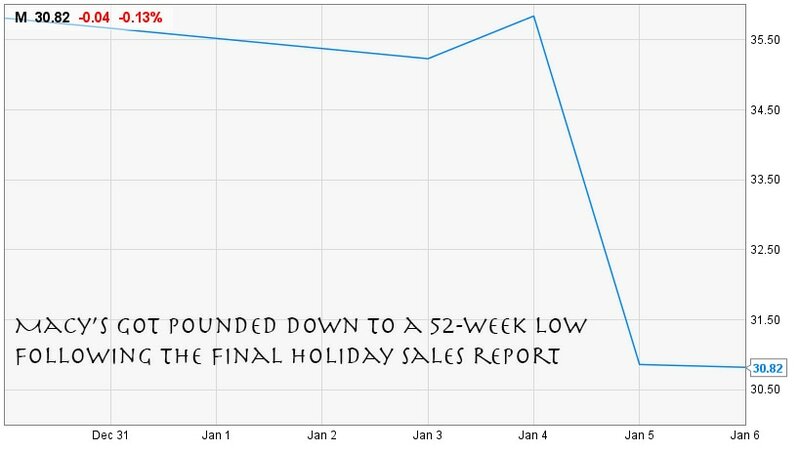 Macy’s M got hammered along with the rest of the multiline retail industry when the final 2016 holiday sales figures rolled in—they were not pretty. M was driven down to near a 52-week low price, giving us the opportunity to add the position to the Intrepid Trading Platform. On a pullback below $70, we added Walmart (WMT) to the Penn Global Leaders Club. The stock was down several percentage points on stagnate 2017 company guidance, but we like the strategic move into online. With Oil floating around $50 per barrel once again, we opened a new position in DUG, the ProShares Ultrashort Oil & Gas ETF, at $43.79. This is about 30 cents above its one-year low price. To protect our position, we placed a stop loss on at $37.20. Several of the gun manufacturing companies have served as excellent trading stocks for us over the past 20 years or so. Right now, we see value in Smith and Wesson Holding Corp. Purchased in the ITP. 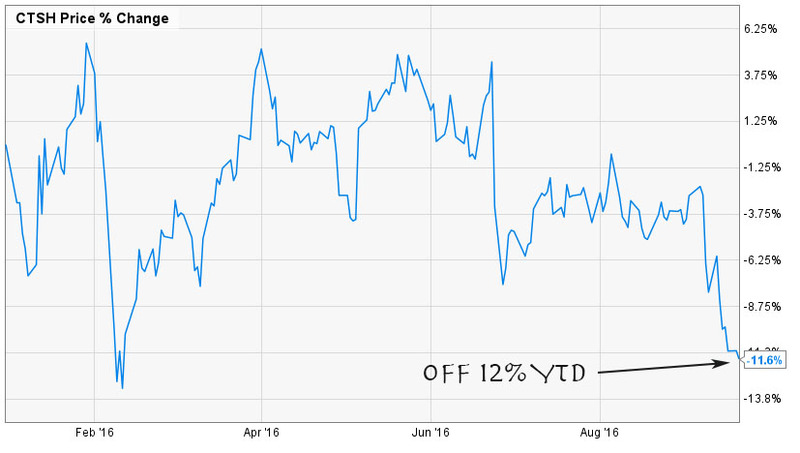 Tractor Supply Company plummeted 17% today on lower guidance from the company and two subsequent downgrades from outperform to neutral. 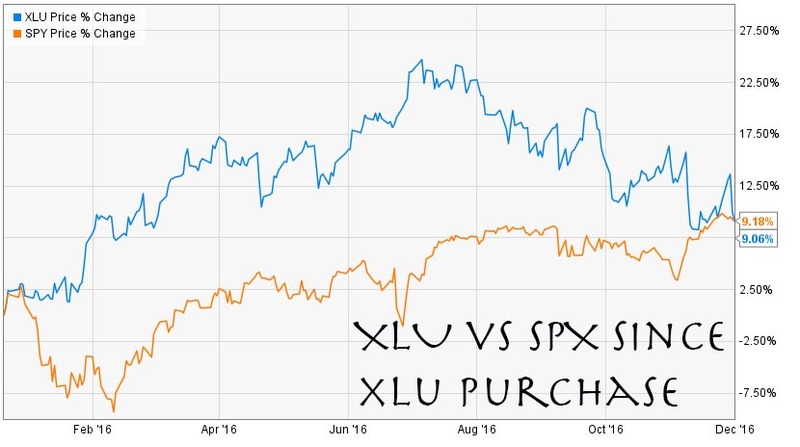 We believe the big selloff was unwarranted and lemming-like. 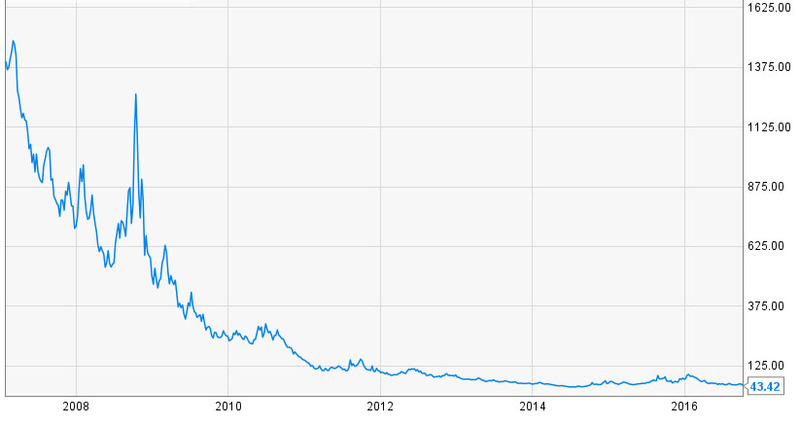 We used our contrarian strategy to buy this well-run company at a great price. Purchased in the ITP, looking for a double-digit gain. Protecting our losses at 11% in case the stock price continues to drop. Intrepid Platform position Best Buy popped 17% on earnings, giving our overall position a 40% gain. We made it realized, not wanting to be greedy (it has already well surpassed our target price). Flow proceeds to cash and await another equity opportunity. Bristol Myers Squibb gapped down double digits on 04 Aug following the late-stage trial failure of its Opvido cancer drug. We believe investors overreacted to the news and took the opportunity to purchase this $100 billion drug juggernaut to replace Express Scripts (ESRX) in the Global Leaders Club. 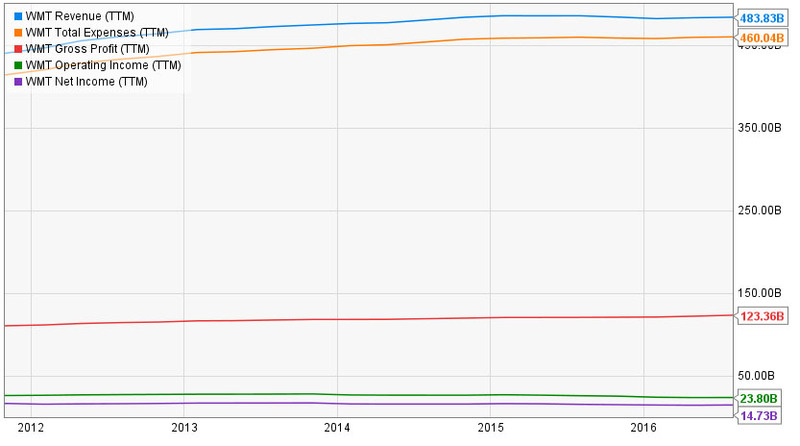 Steel Dynamics (STLD) has performed even better than we anticipated when we purchased within the PGLC. We sold at $25.50 to realize a 47% profit. Electro Scientific Industries, Inc., provides the equipment necessary for electronics manufacturers to produce the components used in telecom, computer, automotive, and other industries. They also offer a family of mechanical and laser drilling systems for micro-electronic devices. The Portland-based company was founded one year before World War II ended, making it the oldest high-tech company in Oregon. All of the experts are telling us to steer clear of wheat; after all, the commodity has fallen 30% in the past year and a lot further than that over the past five years. 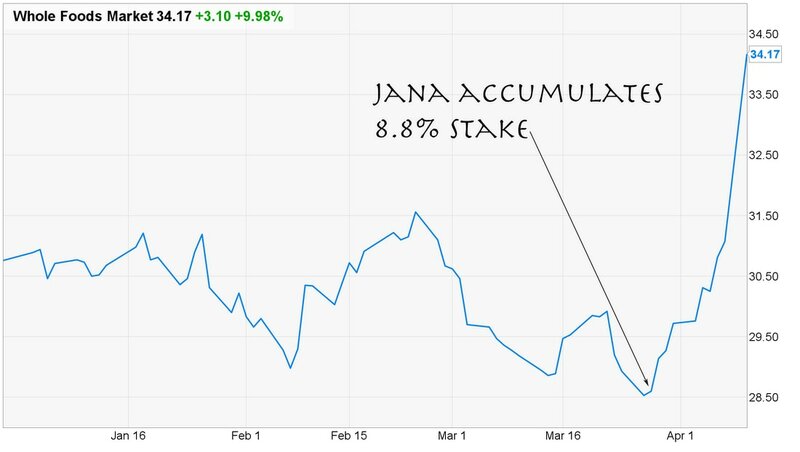 We love to take advantage of fear and groupthink, which is one of the reasons we took a 5% position within the PDGS in the Teucrium Wheat Fund today with some of the proceeds from our JO profit. We placed a stop loss at $6.75 in case we turn out to be wrong. WEAT is trading at its one-year low. 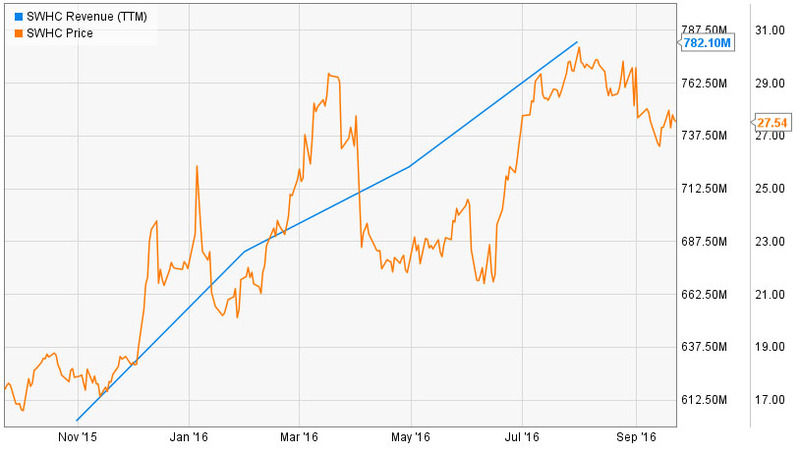 We took our profit on JO, the iPath Bloomberg coffee subindex, following a 21.84% spike since our purchase on 22 Jan 16. We still believe coffee prices may go higher, but the five month gain is too strong to pass up. We are placing the proceeds in cash for now. Bed Bath & Beyond reported flat sales for the quarter, with net sales remaining flat (at $2,738M) and quarterly earnings plunging 14% year-over-year. After dropping about 4% on the report, we took the opportunity to buy this undervalued name in the Intrepid. Within a few minutes of purchase, the 4% loss had reversed and the stock began trading in the green on the day. Royal Bank of Canada is the largest financial institution in the country, with assets exceeding C$1 trillion. With more than 15 million clients worldwide and a diversified portfolio of products and services, RBC's scope and sheer size make it a lower-risk investment suitable for the SIP. The yield at purchase is just north of 4%. Baxter is a global medical products and services company focused on the delivery of fluids and drugs to patients. Sadly, due to the growing worldwide cases of diabetes, high blood pressure, and kidney-related diseases, Baxter has a rock-solid revenue stream that should continue to grow. We purchased this large-cap growth ($24B) company on a pullback. Fortune Brands Home & Security Inc screened out on our proprietary mid-cap search engine. This maker of home and security products (cabinets, plumbing, doors, etc.) for both new construction and the remodeling industry should continue to excel as residential home market continues to improve. We purchased LGI Homes on 25 Jan 16 on a pullback. We added it to the Intrepid because we were looking for a short-term trading pop, not for its longer-term outlook. We sold the stock and took our 31% profit following a 5.75% pullback today. ​We purchased AMN Healthcare Services in the Intrepid on 28 Jan 16, hoping for a double-digit pop. The stock is up 42% over the 3-month period, and we are taking profits. 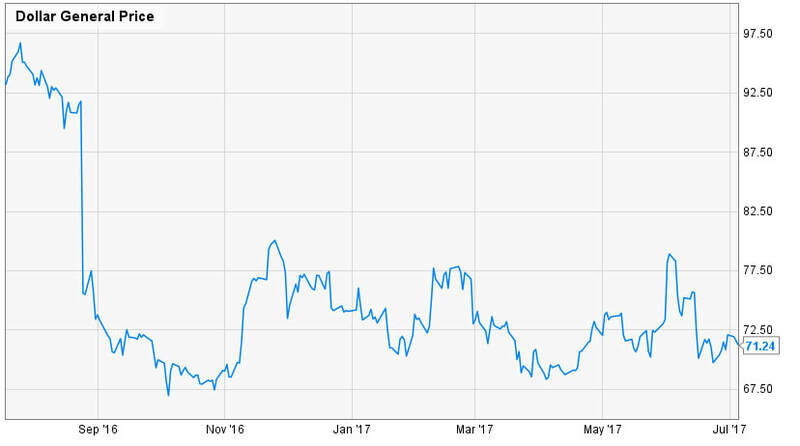 We purchased Disney for the Penn Global Leaders Club way back in 2011, when the shares were trading for $31.40 and few wanted to touch them. We remained firm believers in the company, but we now see strategic challenges ahead. Taking our 228% gain. ​With over 2,600 supermarkets and a decisive corporate strategy, KR remains one of our favorite picks in the industry. Re-purchased at $37.51 on pullback. Trinity is one of our favorite trading stocks. 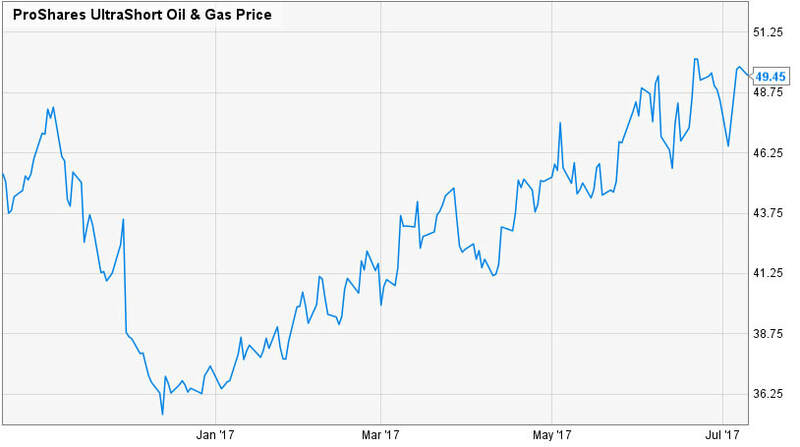 At just north of $15 per share after gapping down Monday, we once again added it to the Intrepid, using our proceeds from OIL. AMN Healthcare Services is the largest healthcare staffing firm in the US. Last year the firm placed over 7,000 medical services workers with provider clients around the country. Purchasing on slight pullback. LGI Homes has been one of our favorite ways to play the homebuilding market. Focused on the "sweet spot," lower- to middle-tier price point, the company has a low P/E and strong growth trajectory. Selling Kimberly Clark in PGLC for 17% gain in three months. Valuations are becoming too high, they face dollar headwinds, and we believe there are better opportunities elsewhere. Adding General Motors to the PGLC. 4.23% current dividend yield, and we now believe the company has strong growth potential going forward. We like the deal with Lyft.